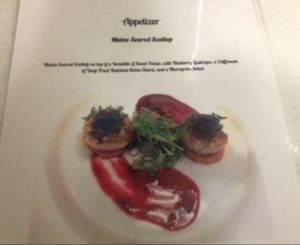 Our Culinary Arts ProStart competition team has earned the top state honor for the second straight year! 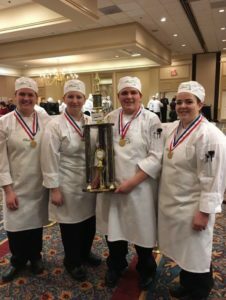 Tyler Arnold, Shelby Powers, Kiara Michaud, and Sarah Greaton will represent the state at the national ProStart competition in late April in Charleston, S.C. ProStart is a nationwide program developed by the National Restaurant Association Educational Foundation that develops new talent into tomorrow’s restaurant and foodservice leaders. 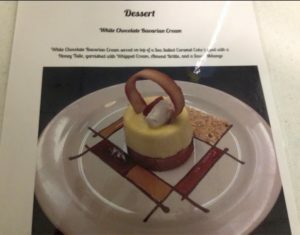 The competition required a 3-course meal with a given budget and produce a book showing the dish, its ingredients and cost. 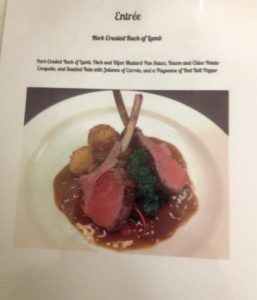 The meal prepared by our team included an appetizer of Maine seared scallop, an entree of herb-crusted rack of lamb, and a dessert of white chocolate Bavarian cream cake. 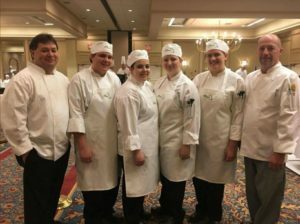 Before the national competition, the team will be honored at the Maine Restaurant Associations’s annual banquet and have been asked to help prepare the meal for the awards dinner. Congratulations on your hard-earned success!